Huntington Beach Ultimate Training Center’s kid’s program is the perfect way for your child to learn self-defense while they mature into an adult. Jiu jitsu is a great way to get in shape, make friends, and have fun. As both a martial art and contact sport this is a great opportunity for your child to learn how to be persistent on the mats so they can persevere in life. 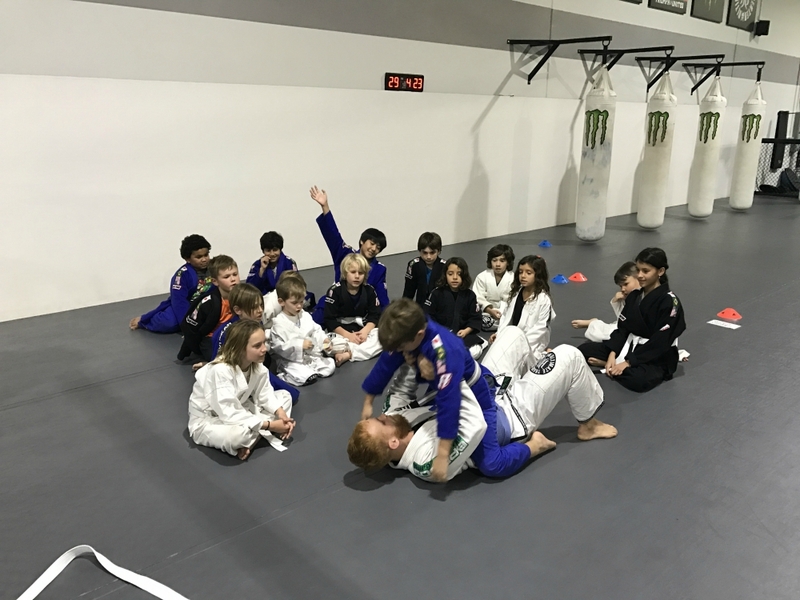 Our program focuses less on the “win/lose contest philosophy” and instead, focuses on developing a strong work ethic, positive attitude, and a love for jiu jitsu. Your child will learn valuable life lessons, while also staying active and healthy. Classes include learning the basic techniques, physical drills, games, and live training. Our skilled and experienced instructors love working with kids of all ages and fitness levels. We guarantee your child will be supported and coached to excellence, while also training in a positive environment. And the best part? You get a peace of mind knowing your child is well-taken care of, while also learning a new and exciting sport. We guarantee to provide your child with the physical and mental training they need to be successful on and off the mat. Give your child the opportunity to shine and stand out today! All you have to do is fill out the short form on the right side of this page to request more information. We look forward to hearing from you, and can't wait to start working with your child! This is by far the best facility, coaching and environment for jiu jitsu and MMA in Huntington Beach. The jiu jitsu is coached by black belt Johnny Morgan. He is an amazing instructor with a teaching style unlike any other jiu jitsu academies. You will learn to grapple at a higher level, at an unbelievable pace, and in a fraction of the time you see in other competitive jiu jitsu schools. I would highly recommend it - especially if you have been grappling around and been dissatisfied with other jiu jitsu programs. Definitely worth checking out! I have been a member for a little over a year and I have nothing but amazing things to say about this gym. I was never a person who loved working out until I started coming here! All of the trainers are amazing. They are encouraging, they will challenge you, and are just great people to be around. The classes are challenging, but can be modified for someone of any level. A lot of the classes are small so you can get individual attention. One of my favorite things about the gym is the small atmosphere. When I walk in the gym for a class, everyone says hi. It's such a nice change from a big gym where no one talks to each other. It's like everyone here is friends. My fitness level has improved drastically and it's because of their great staff, challenging but fun classes, and friendly atmosphere. I look forward going to the gym everyday and would highly recommend HBUTC!